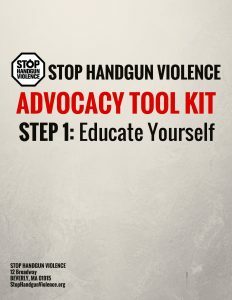 Sources for all of the gun violence facts used in the tool kit. Means Matter: 90% of people who survive a suicide attempt do not ultimately die by suicide.. This is important because when a suicidal person has access to highly lethal means in a suicide attempt, like a firearm, there is no second chance for them to get help. Women in the United States are 16 times more likely to be murdered with a gun than women in other high-income countries. A gun in the home is more likely to be used to kill or injure an innocent person in the home than a threatening intruder. Over 150,000 Americans have died due to gun violence just since Sandy Hook 5 years ago. There is a mass shooting of 4 or more people almost every day in the US, there have been 1,607 mass shootings since the massacre at Sandy Hook. Guns are extremely lethal, which is why it’s important to keep them out of the hands of people who are suicidal. Of all suicide attempts, only 5.1% of cutting suicide attempts and 7.4% of poison suicide attempts are fatal, conversely 96.5% of firearm suicide attempts are successful. GVPedia.org, an online database of studies on gun violence. The Giffords Law Center Annual Scorecard on each state’s gun laws. While the graphics are not the best, the Schoolhouse Rock video “I’m just a bill” is a concise summary of how bills become laws. For key elements of a background check law and which states have background check laws see the Giffords Law Center page on Universal Background Checks. For key elements of a law to ban large capacity ammunition magazines and which states have these laws see the Giffords Law Center page on banning large ammunition magazine capacities. For key elements of a law to banning assault weapons and which states have these laws see the Giffords Law Center page on banning assault weapons. For key elements of extreme risk protection order bills and which states have these laws see the Giffords Law Center page on on extreme risk protection order/gun violence restraining orders. List of over 80 local firearm ordinances passed in Virginia. Lowering the Voting Age: A Legal Feasibility Study, a report by Generation Citizen. For resources on lowering the voting age including a voter-age specific tool kit, see FairVote’s page on lowering the voting age. For an example webform for a city proclamation, see the Dallas, TX city website. You can read the Barrington, RI School Committee Resolution here. Write your own School Resolution or Town Council using templates from The Rhode Island Coalition Against Gun Violence.